The rapport between Churchill and his queen was remarkable—she a serious young woman, known for her beauty, wit and love of dancing, he a great orator and war leader who delighted in schooling his monarch in the peculiar ways of British politics. Their meetings often lasted long past their customary half-hour appointment. When he notified her of his intention to resign in 1955, Churchill was told, through the queen’s secretary, that “she would especially miss the weekly audiences which she had found so instructive and, if one can say so of State matters, so entertaining.” Churchill enjoyed himself, too: Colville said by the time of his retirement, at 81, he was “madly in love” with her. 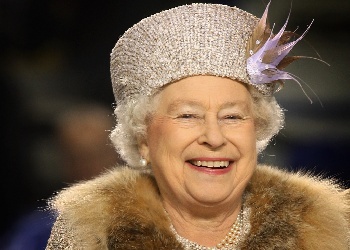 Now it is the queen who is 81, and due to step onto American soil this week for the fifth time. Her six-day tour will include a trip to Virginia to mark the 400th anniversary of the Jamestown settlement, a visit to the Kentucky Derby and dinner at the White House with President George W. Bush—the 10th American president she has met as queen. While more will be curious about her since the success of the Oscar-winning film “The Queen,” many Americans will see her simply as a polite woman who wears matching hats and coats, loves horses and waves to crowds with a curling hand. But over the half century of her reign, Queen Elizabeth II has wielded more power—and guarded more secrets—than most of us have imagined. She is certainly a figurehead but has also appointed prime ministers (following the resignation of Churchill and later, Harold Macmillan), and overseen six archbishops as head of the Church of England (George Carey, a former Archbishop of Canterbury, told NEWSWEEK her vision for her role was priestly, “almost sacramental”). As British constitutional scholar Walter Bagehot noted, the monarch has the right to be consulted, to advise and to warn. In public, her political power is largely symbolic. In private, it is personal and mysterious. She may be the ultimate consigliere, deriving power in part because no one knows she possesses it. At the coronation in 1953, a palace official told NEWSWEEK that Elizabeth II “loves being Queen. It’s like champagne to her. The truth is that the Queen likes being boss.” Since then, she has reigned alongside 10 British prime ministers. For more than five decades, she has counseled, cajoled and carefully listened to each of them in private weekly meetings. John Major, who was prime minister between 1992 and 1997, said the fact that no notes were taken and that there was a “total block” on discussions preserved the sanctity of the meetings: he spoke to the queen in a way he did to no one else. Harold Wilson, British P.M. between 1964 and 1970, felt the queen was the only one he could confide in without thinking a knife was being sharpened behind his back. According to royal historian Robert Lacey, Tony Blair initially viewed the meetings as “ancient etiquette,” but quickly realized their importance: “He actually found that it was a wonderful opportunity to sit and talk to somebody who’s very wise in the knowledge that it would not go any further.” If he cannot see her in person, he phones her. It is not just British leaders who have unburdened themselves to the queen. Once, after she gave Russian leader Boris Yeltsin, a keen gardener, a tiny crystal chest of drawers containing seeds from Buckingham Palace, Yeltsin suddenly found himself “talking about the corruption and violence, not being able to trust anybody,” and he was “pouring his heart out,” said Lacey. Afterward Yeltsin said he had never spoken to someone so frankly before. Generations of historians have longed to get their hands on these diaries, but no one knows exactly what will happen to them when the queen dies. She may stipulate in her will what she wants done, but a palace spokesman said the diaries would probably be sent to the Royal Archives, released after 30 years, and available only to the royal (or authorized) biographer. Perhaps they will at last reveal the secrets of the queen who, as a young woman, loved power as much as champagne. Posted in Newsweek. Bookmark the permalink.